AWS customer case studies and stories about startup companies using the AWS cloud. Watch as AWS startup evangelist Mackenzie Kosut chats with some of the world’s most in-demand startup founders and they discuss AI, Machine Learning, Big Data, FinTech, IoT and more. 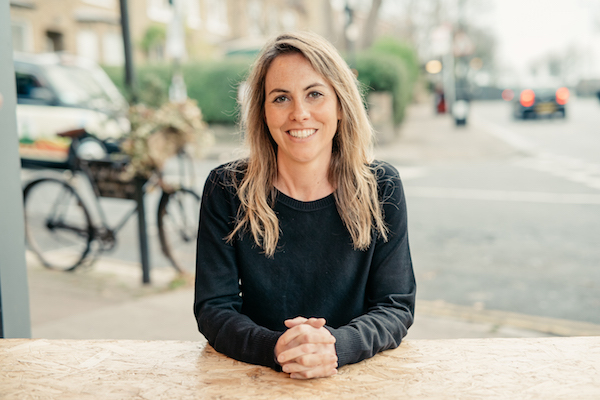 Tessa Cook, co-founder and CEO of food sharing app OLIO, talks about growing a social enterprise. 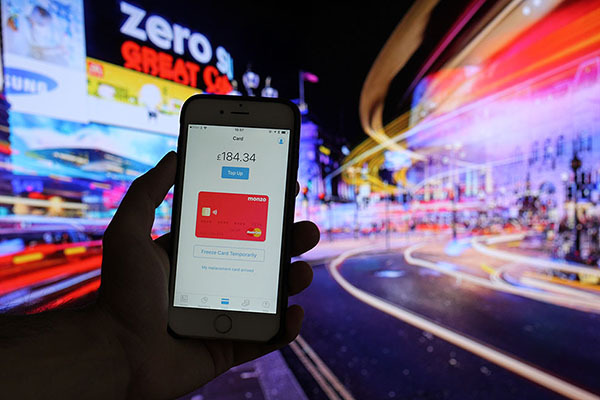 Hear from founder Darren Westlake and Tom Blomfield of Monzo on why a startup should think about crowdfunding. Robin Klein, General Partner of Local Globe, and Hal Watts, CEO of Unmade on making investments and finding a VC. Listen as Anne Boden, CEO of Starling Bank, shares her experience on building a challenger bank from scratch. Hear how AWS startup success Once, a dating app with a unique approach, nailed its global strategy. Andrew Thompson of Yoyo Wallet & Will Bentinck of Makers Academy share their views & approaches to startup recruitment. Vidsy migrated from Docker Cloud to Amazon ECS in just 10 days and has reduced its costs by 60 percent. Vidsy helps brands develop mobile-first video campaigns using the talents of Vidsy's community of 3,000 young creatives. The company now uses Amazon ECS to orchestrate its containerized applications, which run in the AWS Cloud. sRide supports a 25 percent monthly increase in app users through the scalability of the AWS Cloud. The sRide app matches passengers who are seeking rides with vehicle owners who are offering transport in real time. sRide runs its microservices architecture on Amazon EC2 instances, with Amazon ElastiCache storing user requests for matches. Burt delivers next-generation data analytics, business intelligence, and big data services to media and entertainment customers. The company provides its customers with rapid, deep-level insights into the performance of their online campaigns. Burt utilized AWS Enterprise Support and uses Amazon Athena and AWS Glue alongside Amazon Redshift to run data queries. Intercom designed, prototyped, tested, and deployed a stream-processing service in under two weeks using an AWS serverless architecture. Intercom offers a suite of messaging-first products that integrate seamlessly with other companies' websites and mobile apps to help them acquire, engage with, and support their own customers. Intercom is using AWS Lambda and Amazon Kinesis Data Analytics to detect and shut down misbehaving customer integrations that might imperil availability by excessively updating Amazon DynamoDB. RedAwning used AWS to transform its contact center operations, enabling better customer service, an improved employee experience, and greater scalability—all while lowering costs 80 percent. RedAwning is the world’s largest supplier of vacation rentals to consumers and online booking sites with more than 140,000 properties in 10,000 locations. The company uses Amazon Connect contact center as a service; Amazon Lex and Amazon Polly to enable a custom virtual agent that interacts naturally with customers; and AWS Lambda for looking up customer information. With AWS, FinFabrik can easily make changes and deploy new systems in just 10 minutes, ensuring data privacy and latency targets are met. The fintech uses Amazon Virtual Private Cloud to segregate client networks, Amazon Elastic Container Service to run serverless computing, and AWS Identity and Access Management for account authentication. Intowow can scale its in-app supply-side platform to support millions of apps thanks to the flexibility of AWS. Intowow provides a platform that allows advertisers to run in-app video ads. The company provides mobile advertising SDK—which enables in-app video ads to operate and collects ad-performance data—on Amazon EC2 instances with Amazon EMR supporting parallel processing for data analytics, Amazon S3 for data storage, and Amazon Athena to run queries against the data in Amazon S3 using standard SQL. Media companies worldwide use ScribbleLive’s engagement platform and application to deliver news and events in real time. By running on AWS, ScribbleLive can scale to support a thousandfold increase in traffic for breaking news while reducing operating costs by 35%. Daraz migrated its e-commerce platform to AWS to ensure application stability, offering brand-name merchandise to 5 million shoppers in five South Asian countries. The company uses Amazon EC2 to run primary workloads, Amazon RDS to manage databases, and Amazon Polly to automate customer calls. By using AWS, Modacruz can handle spikes in traffic of 20,000 users in 30 minutes, while increasing server capacity by 150 percent. The startup’s customers can purchase second-hand designer clothing at affordable prices through its website and mobile app. Modacruz uses AWS Elastic Beanstalk to deploy apps across a multi-language development environment and Amazon Redshift to collect and manage its user data. By using AWS, hosting its remote-access and live-chat software with AWS, software company Netop save hundreds of thousands of dollars a year. 21st Century Fox (21CF) uses AWS to enable large-scale business transformation. Using more than 100 AWS services, 21CF is driving innovation across its supply chain, data platforms, and consumer product experiences. Delivering its software as a service via the AWS Cloud gives Firefly Learning the ability to onboard schools in one day rather than several weeks, helping students benefit from flexible learning faster. The company’s online learning tool brings together teachers, students, and parents to make learning more effective. Through services such as Amazon RDS and AWS Business Support, Firefly ensures it delivers a consistent user experience with minimal infrastructure management. By using AWS, Applica can meet its client service-level agreements for millisecond response times. The company’s artificial intelligence technology automates the moderation of user comments on customers’ websites. 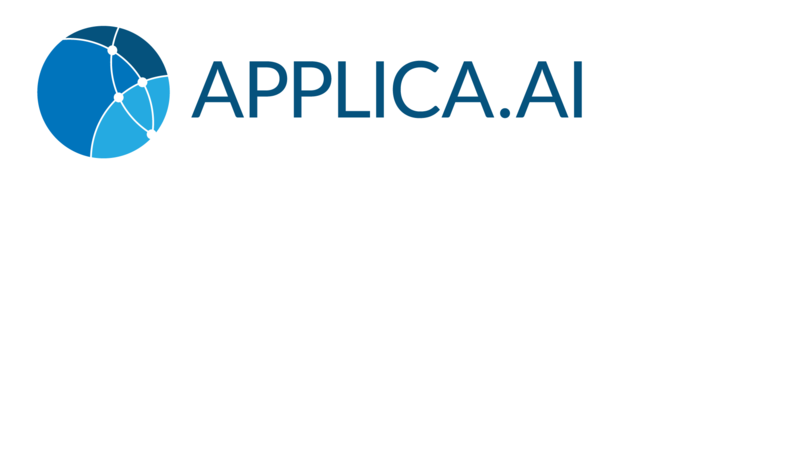 Applica runs its infrastructure on AWS, benefiting from the dynamic, cost-effective scalability it gets by using Auto Scaling and Amazon EC2. Delivering its computer vision technology using AWS has enabled Mirriad to take on big projects for customers in regions such as China, onboarding clients 98% faster and saving approximately $100,000 a year. The company uses machine learning techniques to place brand advertising into video content. It ensures transparent compliance through Amazon Trusted Advisor. Weever Apps migrated its solution to AWS for enterprise-grade support and uptime. The company helps clients digitize business processes and use data effectively. It uses Amazon RDS to host MySQL and PostgreSQL databases, plus AWS CloudFormation and Amazon ElastiCache for software deployment. Yony Feng, CTO of Peloton, describes how the in-home fitness company relies on AWS to power its on-demand, live leaderboard. Peloton’s leaderboard requires high elasticity, low latency, and real-time processing to deliver customizable rider data for the community of users riding together virtually from the comfort of their homes. Fatture in Cloud migrated from its existing cloud provider to AWS to improve performance by 100 percent, deliver a highly reliable service to customers, and reduce costs by 50 percent. Based in Italy, the company provides customers with invoicing and billing services 24x7 from any device—disrupting a largely traditional market by offering features such as real-time access to data. Using services such as Auto Scaling and Elastic Load Balancing, Fatture in Cloud supports a doubling of growth year-over-year. Using AWS, TLG Commerce delivers high availability and instant scaling for its customers’ online stores. The firm creates customized virtual storefronts through its LogiCommerce e-commerce solution for clients such as Muji, Herman Miller, and Lacoste. TLG Commerce uses Amazon CloudFront for content delivery worldwide, while Auto Scaling in Amazon EC2 handles fluctuations in load. PayFort delivers trusted, highly secure services to its customers by using AWS’s Payment Card Industry Data Security Standard (PCI DSS) compliance credentials. The startup provides its payment solutions to organizations across the Middle East, giving customers an easy way to conduct online transactions. It uses services such as Amazon EC2 and Amazon RDS within an Amazon VPC to run FORT, its online payments gateway. Graze continually improves its customers’ experience by staying agile—including in its infrastructure. The company sells healthy snacks through its website and via U.K. retailers. It runs all its infrastructure on AWS, including its customer-facing websites and all its internal systems from the factory floor to business intelligence. ShareChat has grown its userbase ten-fold in the last 12 months without any scaling issues by using AWS—gaining a low latency and high-performance infrastructure to provide customers with a reliable and responsive service across multiple network speeds. ShareChat provides an Android-based ShareChat app that enables Indians to chat online and share content in local languages. The company uses Amazon EC2 instances for its main servers, AWS Lambda for running serverless app code and Amazon DynamoDB to store content attributes and user’s social graph. Using AWS, Satispay created an agile infrastructure that has supported a 6,500 percent growth in the company’s user base across Italy. Satispay offers a new service that makes everyday payments between people and businesses simple and secure, all via a mobile phone. The company worked with AWS Partner Network (APN) Advanced Consulting Partner beSharp, using Elastic Load Balancing and Auto Scaling to seamlessly scale its cloud up or down to suit developer and user needs. Migrating to AWS has enabled InnoVantage developers to spend only five percent of their time on infrastructure and has reduced the company’s time to market from 14 months to seven weeks. InnoVantage provides cloud-based applications to large businesses and government organizations. It uses AWS Elastic Beanstalk, AWS CloudFormation, and AWS Lambda to push its Cogito product to a defined set of AWS infrastructure services, create and manage AWS resources, and run code in response to events. Dropcam is a fast-growing start-up that offers a popular video monitoring service so users can monitor homes and offices. By using AWS to scale and maintain throughput, Dropcam reduced delivery time for video events from 10 seconds to less than 50 milliseconds. Customers use the video development service movinary to create, share, and store text-enhanced videos from photos. Using AWS enabled movinary to start small and scale fast, going from a local environment to production in one month. Fashiolista, a fashion-based social network based in the Netherlands, outgrew its colocation facility after attracting more than a million members in two years. To sustain growth, the company established a flexible solution using AWS that has supported a 150% increase in web traffic, allowed Fashiolista to provide 99.99% availability, and reduced hardware investments by 60%. GoAnimate reduced costs for its text-to-speech (TTS) solution by 95 percent by choosing Amazon Polly over a competing TTS service. GoAnimate is a do-it-yourself video-creation platform. GoAnimate uses Amazon Polly to immediately give voice to the characters they create and animate, and easily add narration to their videos. By using AWS, Launchmetrics can expand its infrastructure capacity by 15 times, meaning a faster, more user-friendly experience for its customers during major fashion events. The company provides an integrated marketing platform with advanced analytical tools, which helps fashion designers and luxury and cosmetic brands launch its products successfully. Launchmetrics uses AWS CloudFormation to create and reengineer its own development environments, which is a key part of its new, agile, cloud-based strategy, and save time at every stage of the development process. Using AWS, Ucarer has reduced IT costs by about 30 percent and eliminated 97 percent of the workloads associated with one routine management task. The company developed an app-based service for the elderly to book appointments with registered caregivers in the local community. Ucarer runs the platform behind its service on AWS using Amazon EC2 instances for platform code and Amazon RDS for storing data relating to caregivers and platform users. By using AWS, Jumpshare has reduced its IT costs by 70 percent while lowering IT management time by 30 percent. Jumpshare provides a file-sharing service to creative professionals, enabling them to view files online in hundreds of formats and collaborate on work together. The company runs its file-conversion servers on Amazon EC2 instances with Amazon S3 storing thumbnails of the files, Amazon RDS holding customer data, and Amazon SQS scheduling file conversions on the servers. Digital ReLab adapted its digital-asset-management platform to the cloud by taking advantage of flexible AWS storage options. Digital ReLab provides software solutions that let users find, update, and share vast quantities of digital assets seamlessly and affordably, anywhere, through a secure central database. Digital ReLab uses Amazon EC2 for compute, Amazon S3 for long-term file storage, and Amazon EFS for a cloud-based file system that seamlessly integrates with cloud and on-premises installations of its solution. After moving to AWS, Screen-Magic has increased DevOps resourcing by 300 percent and reduced network latency for its software-as-a-service solution by 30 percent. Screen-Magic provides an enterprise text application called SMS-Magic, which customers integrate with their customer relationship management systems. Screen-Magic runs SMS-Magic on Amazon EC2 instances with Amazon RDS as the application database and Amazon S3 as the storage for multimedia content. 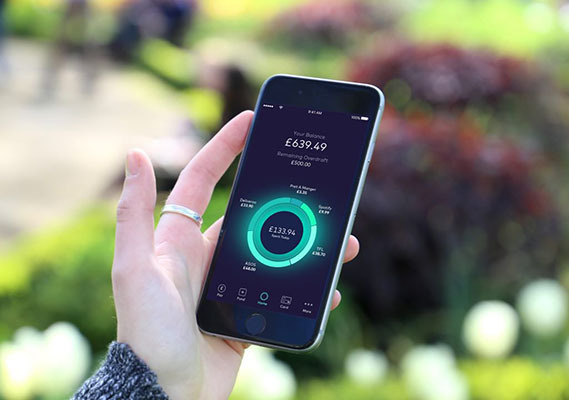 Starling Bank is one of the UK’s leading fintech startups, and a successful mobile-first disruptor in the retail banking market. Since launching in 2014, Starling Bank has used AWS to build a convenient, transparent, and mobile-first service without sacrificing security, scalability or cost-effectiveness. Using AWS services including AWS Lambda, Amazon S3, and Amazon RDS, Starling has achieved a fast, scalable, and secure cloud infrastructure which enables seamless, compliant functionality updates. With the help of AWS, Bynder has been able to grow 200 percent year-over-year, scaling into new regions and working with several multinational organizations. The company’s digital asset management (DAM) platform offers brands a smarter way to find, share, and use digital files at any time and from anywhere. The company has also maintained an innovative culture amid rapid international growth, using Amazon Rekognition and AWS Lambda to improve customer experience and speed innovation. Currencycloud is a payment platform which helps businesses to handle overseas payments using cloud technology. Founded in the UK in 2012, the company began with a physical, on-premises IT infrastructure to power its processes. Today the company is cloud-powered, thanks to a new and successful collaboration with AWS. Benefits gained from include a reduced server spin-up speed from 6 months to 6 minutes, an anticipated 30% cost reduction by the end of year one, and higher server and database performance. Using AWS, Zoona cut IT costs in half while increasing the size of its infrastructure and the number of IT services it supports. The company, which helps people in sub-Saharan Africa gain access to financial services for the first time, has more than 1.6 million customers using Zoona to make electronic money transfers. Zoona built a microservices architecture on AWS with Amazon EC2 instances supporting all applications, Amazon RDS supporting MySQL and PostgreSQL databases, and Amazon DynamoDB running Datomic, a distributed database. Onoko develops social and mobile applications for the Facebook and iPhone platforms. The company's apps, which primarily focus on relational gaming, support approximately 15 million global users. Onoko chose to build its infrastructureon AWS to avoid other hosters' steep operating costs and limited flexibility. Today Onoko relies on Amazon EC2, Amazon SimpleDB, Amazon S3, and Amazon CloudFront. 6 Waves Limited, a leading international publisher and developer of gaming applications on the Facebook platform, uses Amazon EC2 and Amazon S3 to host its social games with an audience of more than 50 million players per month. Cmune is pioneering the field of 3D social games. Hosting its platform backend on AWS gives Cmunel a fexible and scalable infrastructure critical to the game producer's success. Judo Capital (Judo) avoids the capital expenditure of IT by using AWS, while gaining the flexibility to scale and add new services without disruption to operations. Judo provides loans to small and medium-sized enterprises within Australia. Today, Judo manages its loan-origination processes through an infrastructure built on the AWS Cloud that features Amazon EC2 compute instances, Amazon RDS for loan-based data, and AWS Lambda for serverless computing-based integrations—with third parties supporting the origination workflow. By using AWS, Cleeng has reached the dynamic scalability it needs to support some of the world’s largest pay-per-view events. The company’s online platform is used by clients around the world to sell live and on-demand video content. Cleeng uses Auto Scaling and Elastic Load Balancing with Amazon EC2 to respond quickly to capacity demands of up to 100,000 transactions an hour. Using AWS, Internet of Things (IoT) solutions firm Telenor Connexion cuts development time for new products in half and speeds its customers’ time-to-market. The firm designs and delivers IoT solutions for some of the world’s biggest global brands, including Volvo, Scania, and Hitachi. Telenor Connexion uses AWS for all new service development, and it benefits from the automation it gains through managed services such as AWS Lambda and Amazon Redshift. Using AWS, Y-cam Solutions transformed itself from a hardware vendor into a service provider with a more valuable business model. Y-cam developed an artificial intelligence solution to deliver home-security monitoring and alerts, eliminating the need for a traditional network operations center. The company uses Amazon Polly to provide a human-sounding voice and Amazon Lambda to run code in response to events in a serverless architecture. Concrete Software has been designing and publishing games for mobile platforms, including iOS, Android, BlackBerry, and Microsoft Windows, since 2003. By using Amazon Cognito, the company can easily manage end-user identities, synchronize game data across platforms and devices, and rapidly deploy new games across smartphones and tablets helping them deliver a consistent user-experience. Using AWS, GameSparks created a high performance infrastructure for its game-development services and can handle two billion API requests a month. GameSparks is one of the leading backend-as-a-service providers to the video games sector and is powered by Amazon Web Services. It makes extensive use of multiple services, including Amazon Elastic Compute Cloud, Amazon Elastic Block Store (Amazon EBS), Amazon Simple Storage Service, and AWS Lambda. By using AWS since it was a startup, Ticketea has grown more than 50 percent annually and captured one-fifth of the market in Spain. The company simplifies event management by providing a software solution that functions as an e-commerce platform for selling tickets. Ticketea uses many AWS services, including Amazon Aurora for its database, Amazon Kinesis for event messaging, and AWS Lambda to run serverless code. Using AWS, Grupanya can more easily handle double the traffic during busy periods. It’s one of the largest e-commerce platforms in Turkey, offering its customers group discounts on big brands. The company runs its websites and apps on AWS, using services including Amazon EC2 and Amazon DynamoDB. Redlily is an online retailer offering a variety of products, including designer apparel, stationery, shoes, baby accessories, toys, and games in India. The company migrated its Microsoft NAV enterprise resource planning system to AWS. After doing so, Redlily reduced its IT capital and operational expenses by 70 percent and increased its ERP website uptime from 80 to 99 percent over a three-year period. Wanup deployed SAP on AWS in just two weeks by working with AWS Partner Network (APN) Advanced Consulting Partner Linke Information Technology. The company, based in Barcelona, Spain, is a new hotel loyalty club for independent hotels and chains designed with the needs of today’s frequent traveler in mind. 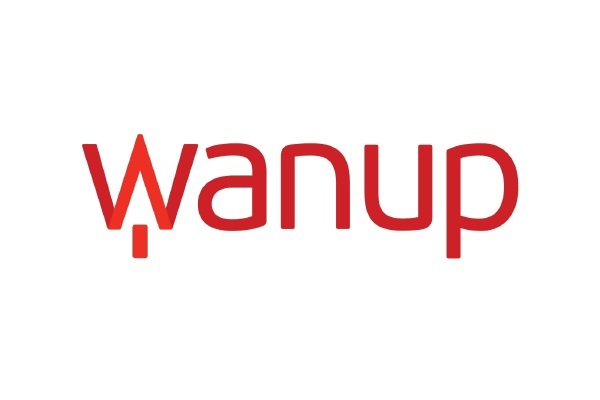 Wanup uses services including Amazon EC2 and Amazon S3 in a highly secure virtual network to help achieve the capacity and performance it needs to support business growth. AdRoll, an online advertising platform, serves 50 billion impressions a day worldwide with its global retargeting platforms. By leveraging the scalability and flexibility offered by AWS, AdRoll has been able to grow by more than 15,000% over the last year. Haptik maintains a monthly user growth rate of more than 30 percent and save 80 percent in management time thanks to the scalability of its AWS Cloud infrastructure. Haptik is the company behind India’s Haptik personal-assistant app that features artificial intelligence. The software behind the app runs on Amazon EC2 instances with app and customer data stored in Amazon RDS for MySQL databases, and text-to-speech interactions managed through Amazon Polly. Alpha Apps uses AWS to develop services faster, helping it keep ahead of the competition and deliver cost-effective services to its clients. The firm is a leading mobile app developer based in Abu Dhabi, specializing in original Arabic content and education apps. With help from cloud solutions provider Falcon 9, the company built a microservices architecture using technologies such as Amazon Cognito and AWS Step Functions in AWS Lambda to give developers more time to innovate. Lookout migrated its entire workload from its data centers and into the AWS cloud, bringing its 100 million users new capabilities faster and with greater efficiency. Lookout is a San Francisco-based mobile-security company.Using services such as Amazon RDS and Amazon Aurora, Lookout is able to shift its focus away from maintaining servers and worrying about data replication, towards delivering new features and capabilities to its customers. With an ambition to connect 20 million cars across Europe by 2020 through its SPARK technology, Springworks needed a highly scalable service that allowed its developers to get features to market fast. It chose to build its Internet of Things (IoT) platform in the AWS Cloud, benefitting from the robust security that’s vital to its partners. One such partner is TeliaSonera, the largest mobile operator in Sweden, which uses SPARK to power its IoT application, Telia Sense. Telia Sense gives drivers a wealth of useful information about their cars, including service alerts and location tracking, and it opens revenue streams for the mobile operator by linking car owners to service providers such as insurance firms and car repair shops. As a three-man startup born in the AWS Cloud, CleverTap has gone from processing 50 million events per month to 55 billion in just 3.5 years, with a lean staffing model and a heavy reliance on automation. CleverTap is a mobile app analytics and user engagement platform, offering clients advanced segmentation and targeted marketing campaigns. The company has been able to scale rapidly using memory-intensive Amazon EC2 instances on its proprietary NoSQL database. It uses Elastic Load Balancing to distribute often spiky traffic and AWS CloudFormation to deploy an array of AWS resources such as Amazon CloudWatch, Amazon CloudFront, and Amazon S3 for storage. By using AWS, CMPUTE.IO has lowered its server costs by 75 percent while gaining a cloud platform that supports 100 percent business growth a year. CMPUTE.IO manages Amazon EC2 Spot Instances for companies to maximize their compute spend and maintain availability of their applications. The company built a software as a service (SaaS) product that runs on AWS, leveraging core services such Amazon EC2 for compute, Amazon S3 for data storage, and Amazon CloudFront for content delivery. Xignite employs Amazon EC2 and Amazon S3 to deliver financial market data to enterprise applications, portals, and websites for clients such as Forbes, Citi, ING, kaChing, and Starbucks. Palringo innovates four times faster using AWS, releasing new chat features and games and delivering engaging content such as real-time statistics to its users. 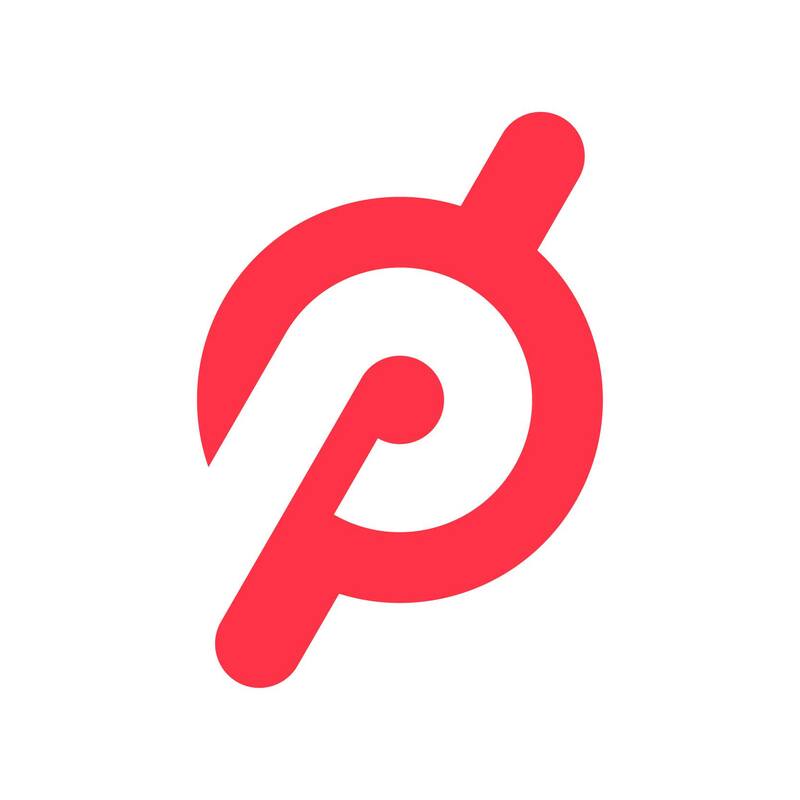 Palringo is the world’s largest network for mobile community gaming, providing a service where users can chat and play games in groups. It uses Amazon ECS, Amazon Kinesis Analytics, and AWS Lambda as part of its new microservices architecture as it migrates from a physical data center to the AWS Cloud. Using AWS, Tink can focus on innovation rather than infrastructure management and test ideas 85 percent faster than before. The Sweden-based startup launched its app in 2012 with the aim of giving users an easy way to control their personal finances, connecting their bank accounts and credit cards to help them keep track of their money. AWS technologies help to ensure that Tink complies with data-security standards and give the company a robust platform that is trusted by business partners and customers. Vivino used the AWS Cloud to build the most downloaded wine app in the world, attracting 22 million users across the U.S., South America, Europe, and Asia. The app gives wine lovers easy access to a database of more than 10.3 million wines and to related information such as ratings, reviews, and where to buy. The company ensures it has the capacity to handle traffic increases of 300 percent between Christmas and New Year’s using Auto Scaling with Amazon EC2, and it uses Amazon SES and Amazon SNS to drive wine promotions to millions of users in seconds. IGS develops online and mobile games 50 percent faster and increases IT productivity by 800 percent with AWS. The company is a provider of arcade-based games and has a growing online and mobile gaming business. IGS runs its online games on multiple Amazon Elastic Compute Cloud instances with Elastic Load Balancing and Amazon CloudFront ensuring maximum performance and content delivery. Fourdesire successfully maintains business growth of 500 percent in two years with the support of AWS. The company builds online games that are informative and interactive, promoting better health and environmental awareness. Fourdesire uses AWS Elastic Compute Cloud instances to run its game code as well as Amazon Route 53 and Elastic Load Balancing to direct and distribute incoming gaming traffic. To boost the gaming experience, it has in-memory Amazon ElastiCache and Amazon CloudFront to maximize data transfer speeds across the web. Using AWS, iFit gains the flexibility to meet peaks in site visitors while reducing IT management costs by up to 80 percent. iFit—which promotes healthy lifestyles through its app and wearable devices—is an online community, an e-commerce platform, and a chain of main-street stores. The company runs its website on Amazon EC2 instances with Amazon S3 and Amazon CloudFront ensuring fast access to site content, and Amazon RDS supporting site transactions. Score Media Ventures is the digital arm of Score Media, Inc. Score Media Ventures offers fans multiplatform content, displaying the edgy side of sports news and information. In order to maintain a balance between rapid development cycles, service uptime, and transparent access to sports data, Score Media uses Amazon EC2, Amazon EC2 Elastic IP Addresses, and Amazon RDS. Corporate Governance Risk Pty Ltd (CGR), developer of a web-based risk management application, found that moving to the AWS Cloud gave the company a competitive edge to deliver services to its European clients in seconds with virtually zero downtime. Using AWS, Mojo Networks reduces the cost of operating its cloud infrastructure by up to 30 percent while reducing management time by 25 percent. Mojo Networks provides cloud-managed Wi-Fi services to companies worldwide. Keen to overcome the limitations of its existing cloud-service provider, Mojo Networks switched to AWS, running customer Wi-Fi services in Amazon VPC environments, with traffic directed by Amazon Route 53, compute power delivered through Amazon EC2, and backups held in Amazon S3. VidRoll is a video technology and monetization platform for content publishers. VidRoll uses AWS Lambda to power the business logic for real-time ad bidding. Using Lambda, VidRoll developers can focus on product innovations, and the company can grow revenue ten times over without needing to hire additional technical resources. Flipboard is one of the world’s first social magazines; the company’s mission is to fundamentally improve how people discover, view, and share content across their social networks. Using AWS, Flipboard was able to go from concept to delivered product in just 6 months with only a handful of engineers. SmugMug, a premium online photo and video sharing service, migrated to the cloud starting with Amazon S3 for storage and now runs almost 100% on AWS. By running on the AWS Cloud, SmugMug can deliver a better performing service to its millions of customers. Using AWS, Tradeshift has been able to launch quickly and handle 250 percent year-over-year growth by providing advanced business software that manages suppliers, invoicing, and procurement for 800,000 companies. The Danish startup offers a business commerce platform and network that helps firms innovate the way they buy, pay, and work together. It runs this network—as well as its test, development, and deployment pipelines—on AWS. PubNative has lowered costs, improved scalability, and boosted response times by moving to a microservices architecture on AWS. The company provides mobile app and website publishers with a platform to sell native advertising space. It deploys Docker containers using AWS Elastic Beanstalk and uses other AWS technologies, including Amazon EC2, Amazon RDS, and Amazon ElastiCache. CyberAgent is an Internet media-services company based in Japan that operates one of Japan’s leading streaming platforms, called FRESH! The company built its microservices platform on Amazon EC2 Container Service. By using Amazon ECS, CyberAgent has been able to quickly deploy its new platform at scale with minimal engineering effort. Using AWS, PropertyMe continues to double the size of its business year on year. The company provides online software to help property managers simplify administration processes. The PropertyMe software, which is available on any device with an internet connection, runs on Amazon EC2 instances and uses Amazon RDS for database services. Amazon ElastiCache supports a Redis in-memory cloud cache, while Amazon S3 provides storage for property-related images. Workday supports enterprise applications for more than 1,300 businesses—including more than 120 Fortune 500 companies—using AWS. Workday produces cloud-based applications that unify finance, HR, and planning into one seamless system for better business performance. It chose AWS as its preferred public cloud provider and plans to continue expanding its AWS footprint into new regions, starting with Canada in 2017 and the United States and Europe in subsequent years. Aneel Bhusri, CEO and co-founder, and David Clarke, SVP Technology and Infrastructure, spoke onstage at re:Invent 2016. Simfy Africa is supporting growth into new markets through its scalable, low-latency environment based on AWS. The startup offers music-streaming services to customers, giving them online and offline access to more than 34 million songs. Simfy Africa’s AWS infrastructure consists of Amazon EC2 instances within an Amazon VPC across multiple Availability Zones. The company monitors and optimizes resources using Amazon CloudWatch. FanDuel has built an elastic infrastructure using AWS that can scale to meet the demands of hundreds of thousands of users in the run-up to major NFL games. The rapidly growing firm operates one of the world’s largest fantasy sports websites. It uses resources such as Amazon S3, Amazon EC2, and Amazon Aurora to run its entire infrastructure, along with AWS Support to ensure that services run smoothly. Twilio uses AWS to deploy an average of 30 features a day and maintain 99.999% availability. Twilio provides a communications platform as a service to customers like Uber, Netflix, and Airbnb. Twilio is all in on AWS to power its cloud-scale communication apps globally. Cofounder, CEO, and Chairman Jeff Lawson spoke onstage at re:Invent 2016. Hudl ingests and encodes more than 39 hours of video every minute, boosts video upload speeds by 20 percent, and improves data analysis using AWS. Hudl is a software company that provides a video and analytics platform for coaches and athletes to quickly review game footage to improve team play. The company runs its video platform and data-analysis solutions on the AWS Cloud, using Amazon ElastiCache for Redis to provide millions of coaches and sports analysts with near-real-time data feeds to help drive their teams to victory. Unified uses AWS to ingest terabytes of advertising data daily, aggregating and analyzing the data and providing insights to media buyers and brand managers. The company helps customers manage their social media advertising investments and insights in real time. Unified runs its advertising and marketing analysis platform on AWS. Yelp is a popular consumer review website that uses Amazon S3 to store log files growing at 100GB per day and Amazon Elastic MapReduce to power approximately 20 separate batch scripts processing those logs, with s3cmd and the Ruby Elastic MapReduce utility for monitoring. AbemaTV is an Internet media-services company based in Japan that operates one of Japan’s leading streaming platforms, FRESH! by AbemaTV. The company built its microservices platform on Amazon EC2 Container Service. By using Amazon ECS, AbemaTV has been able to quickly deploy its new platform at scale with minimal engineering effort. The scalable infrastructure from AWS enables Dubsmash to fully focus on the development of products and features and to keep growing fast. The Dubsmash mobile app allows users to create funny videos and share them in different ways. Dubmash uses AWS Lambda for data processing. Vidyard uses AWS to ensure seamless video upload and playback capabilities, deliver 30 percent faster video upload times, and give its customers confidence in the security of their data. Based in Canada, the company provides a video-hosting platform that shows customers specifically how and when viewers watch their videos. Vidyard is all in with AWS, running its complete video platform on the AWS Cloud. Okta uses AWS to get new services into production in days instead of weeks. Okta creates products that use identity information to grant people access to applications on multiple devices at any time, while still enforcing strong security protections. Okta uses Amazon EC2 Container Service to manage its applications. 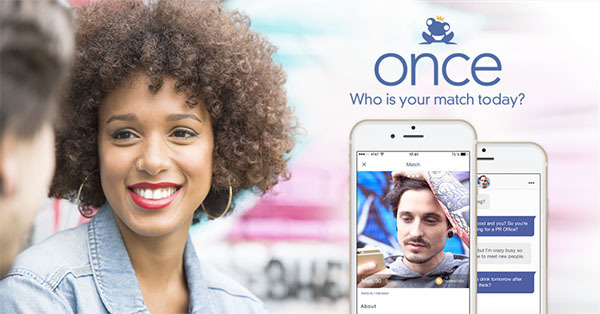 Adopting AWS enabled international online dating site Oasis.com to streamline the management of 57 million images, reduce backup costs by half and create a scalable and reliable real-time chat service. Using AWS, KFIT has been able to shift its focus to building and improving products for users instead of managing infrastructure. KFIT's website and app provide users with access to studios, gyms, spas, and salons in cities all over Southeast Asia. KFIT uses products such as Amazon EC2, Amazon S3, and Elastic Load Balancing to run its web applications. 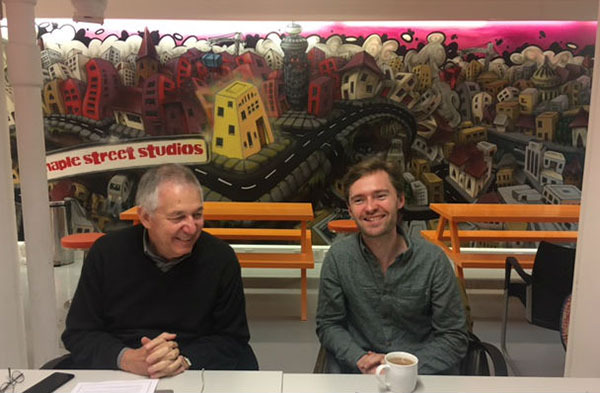 Wooga, a social and mobile gaming company that attracts approximately 40 million users worldwide per month, uses Amazon Web Services (AWS) OpsWorks to host one of Facebook’s most popular games, Monster World. 1.5 million users play Monster World each day, generating up to 15,000 requests per second at peak times. HashChing cuts development costs by 25 percent, launches its cloud environment in minutes, and overcomes spikes in website visitors using AWS. The startup company is an online marketplace for consumers to access pre-negotiated home-loan deals in Australia. HashChing’s website runs on Amazon EC2 Instances, and AWS CloudFormation and AWS CodeDeploy ensure faster website updates. Using AWS, Essess vehicles collect more than a petabyte per vehicle of thermal imaging data per year, quickly transfer large volumes of data, and deliver rapid and actionable insights to customers. The company offers a vehicle-based imaging platform that gathers and analyzes building energy-efficiency and electric-grid data. Essess runs its thermal-imaging data-acquisition application on AWS. Made.com migrated to AWS to support a record-breaking sales period with no downtime. The company provides a website that links home-furnishings designers directly to consumers. It now runs its e-commerce platform, website, and customer-facing applications on AWS, using services such as Amazon EC2, Amazon RDS, and Auto Scaling groups. Hiiir Inc. reduces IT management costs by 80 percent and achieves speed and agility by moving its core applications and services to AWS. Hiiir Inc. is a leading digital media company in Taiwan providing digital marketing consulting services, application development, and e-commerce services. The business is using Amazon EC2, Amazon Route 53, Amazon CloudFront, Amazon ElastiCache, and other services to run its e-commerce platform friDay and online-to-offline (O2O) service Alley App. By using Amazon ECS, Shippable has been able to focus on delivering features to its customers and has sped feature deployment times from once a week to multiple per day. Shippable provides a hosted continuous integration and deployment platform. The company built its platform using a microservices architecture on top of Amazon EC2 Container Service. Unbabel has cut its infrastructure bills by 50 percent using AWS, while at the same time boosting performance and eliminating downtime. The startup uses a combination of artificial intelligence and human translation to deliver fast, cost-effective, high-quality translation services globally. Unbabel moved its entire infrastructure—including its machine translation platform—to AWS, using services such as Amazon EC2, Amazon S3, and AWS Elasticsearch Service. By using AWS, Busuu can scale to serve users with fourfold spikes in traffic during busy periods, while saving developers time on routine administration. The company is a social network for learning languages, and provides app- and web-based courses to 60 million people in 12 languages. It runs its infrastructure on AWS, using services such as Amazon EC2, Amazon S3, Amazon RDS, Amazon DynamoDB, and Amazon Redshift. 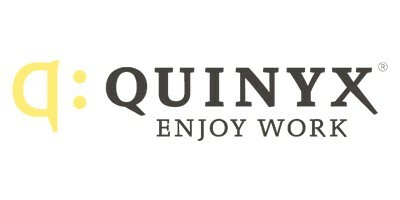 By using AWS, Quinyx has a secure platform for global expansion that it can use to its advantage when speaking to prospective clients. The Sweden-based company provides software-as-a-service workforce management tools to large enterprises around the world. It runs its software on AWS, using Amazon Elastic Compute Cloud, Amazon Elastic Block Store, Elastic Load Balancing, and Amazon Simple Storage Service. Assignar provides software that streamlines the way organizations run their assets, field workers, and operations in highly regulated industries, using a single dashboard that delivers information in real time. The Australian startup uses AWS to run its software, including a mobile application that enables workers and managers to capture and submit compliance and safety information from the field. This has enabled Assignar to serve 35 clients in about 12 months versus 10 clients in a physical infrastructure, achieve 99.999 percent availability, and reduce the time needed to onboard new clients from two weeks to less than 10 seconds. BuildFax provides insurers, building inspectors, and economists with information about commercial and residential structures across the United States. The company uses Amazon Machine Learning to create predictive models used for tasks such as estimating the age of roofs in a particular region so insurers can establish policies based on probable replacement costs. By using Amazon Machine Learning, BuildFax needs just a few weeks to create models that took six months or more in the past to build, and can offer new analytics services to its customers. DoApp provides more than 460 web and mobile applications for news organizations in 150 markets across the United States, with support for the iOS, Android, Amazon Fire, and mobile web platforms. The company uses Amazon Web Services to publish, update, and serve content to apps, particularly news apps that can be customized for individual organizations. By using AWS, the company’s 12 employees—including just three backend developers—have been able to provide content with uninterrupted availability for nearly five years while continually innovating and winning new clients across the globe. Flitsmeister is a mobile app that provides Dutch drivers with continuously updated information, from their peers and from GPS signals, on traffic conditions in the Netherlands. The company moved its service to AWS, which allowed it to double refresh rates during busy periods to provide better and timelier information to users. Speed 3D is an innovative startup whose flagship mobile application, Insta3D, allows customers to turn portrait photos into detailed 3D avatars with customizable clothing and accessories. By moving to AWS, Speed 3D has halved its image-processing time while gaining the scalability required to engage with more than 1 million mobile users. PaymentSpring provides payment services for organizations such as nonprofits and small ecommerce companies. The startup had several platform requirements for its solution, including high availability and scalability, cost effectiveness, and features that would support compliance with Payment Card Industry (PCI) standards. PaymentSpring turned to AWS, launching a service that quickly scaled to millions of dollars while offering its customers the reliability and security expected of a payment system. Fiksu is a mobile advertising optimization platform that helps companies precisely target key audiences. The company has been doubling in size each year, creating scalability issues. Fiksu turned to AWS to solve the problem, using a full range of AWS services to dramatically scale its production infrastructure to process tens of billions of requests while cutting development time and costs. Y-cam Solutions is a provider of high quality, affordable, and easy-to-use indoor and outdoor security cameras for residential and small business use. As the company prepared to launch a new surveillance video storage service in 2011, it needed a flexible infrastructure that could be launched quickly across North America and Europe without requiring a large capital investment or revenue commitment. By using AWS, Y-cam was able to build its service five months instead of 15 months as originally estimated, and estimates reducing the cost of infrastructure by 80% over a three-year period. Vessel is a next generation video platform designed to give subscribers early access to their favorite video programs across any device. The company chose to build and run its highly anticipated video platform on AWS to avoid the need to purchase and manage datacenters. By using AWS, Vessel was able to rapidly scale to support traffic generated by more than 200 million fans on launch day and accelerate its ability to iterate quickly on its product in a fast-paced industry. 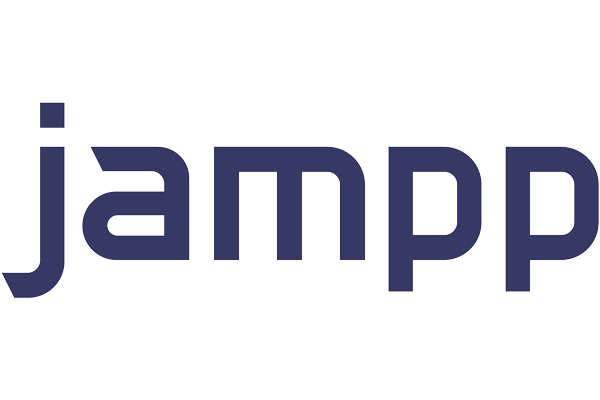 CMP.LY offers a social media monitoring, measurement, insight, and compliance solution called CommandPost, which runs entirely on the AWS cloud. CMP.LY uses AWS Lambda to process and record inbound traffic from a range of social media platforms within milliseconds of arrival. By using AWS Lambda, CMP.LY has reduced its server maintenance needs and improved CommandPost’s performance. Yo is a popular social messaging mobile application built for iOS, Android, and Windows phones. The company migrated its mobile application backend to AWS to help improve the reliability of its application and reduce downtime. By using AWS, Yo can scale to support millions of users, send hundreds of thousands of notifications daily, and improve the overall user experience. Chef enables engineers to turn their infrastructure into code by automating how they build, deploy, and manage IT infrastructure. By using AWS to build its infrastructure automation platform, the company has reduced the time its engineers need to provision new IT resources from months to minutes. As a result, the company can focus on building new features for its platform instead of having to worry about managing infrastructure. SmugMug is a photo sharing website that enables its customers to store, share, and sell photos online. By using Amazon CloudSearch, a service that makes it simple and cost-effective to set up, manage, and scale custom search solutions, SmugMug saves more than $300,000 in operations per year and enables its engineers to focus on building a great user experience for its millions of customers. Crittercism is a mobile application performance management solution that helps developers monitor the performance of their mobile apps across iOS, Windows, Android, and HTML5 platforms. The company uses AWS to run its performance management solution and monitor more than one billion mobile apps. 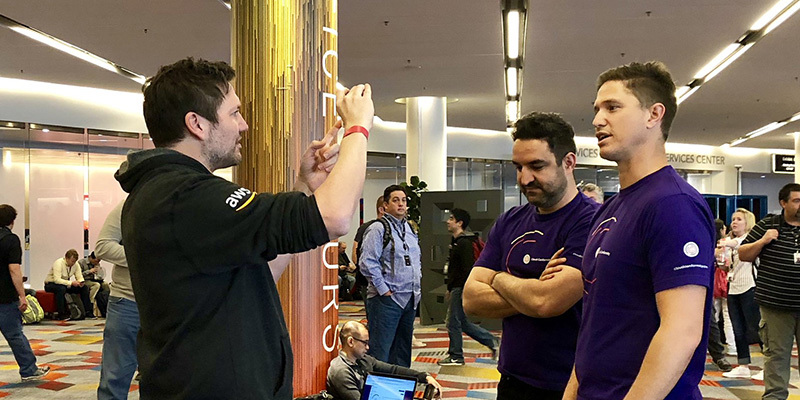 Using tools like Chef and Docker with AWS allows the company's three-person engineering team to automate processes and deploy multiple code updates per day instead of managing hardware. EasyTaxi’s mobile platform enables customers to find and hire taxis fast in more than 30 countries around the world. The company turned to AWS to host its mobile application and store taxi drivers’ documents. By using AWS, the company can support more than 300,000 requests per minute to its API and conduct text searches on billions of indexed documents. Dash Labs has created a smart driving app to make the road safer, cleaner, and more affordable by giving drivers the ability to monitor the performance and fuel efficiency of their vehicles. The company runs its application entirely on AWS, storing and analyzing billions of events. By using AWS for the real-time processing of events, Dash can provide its users with up-to-the-minute driving details and save on administrative costs. SportPursuit.com, based in the U.K., offers flash sales on sporting goods to more than 1 million members in 40 countries. With huge spikes in site visitors during concentrated parts of the day, SportPursuit needs a website that enables swift, highly available service to its customers. By using AWS, the company can spin up instances in minutes rather than days, providing fast service to its customers. SoundCloud is a social sound platform where anyone can upload and share sounds. 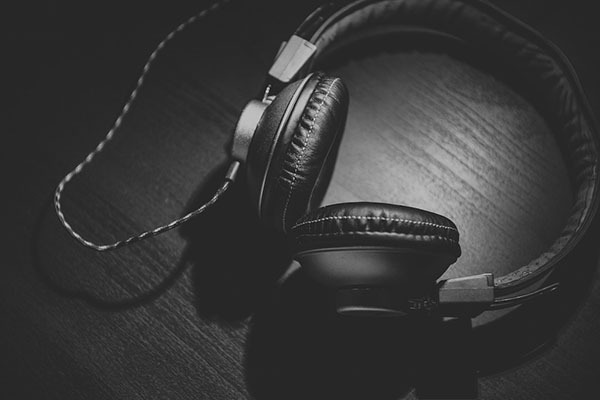 Needing a solution that would scale without increasing operational complexity, SoundCloud turned to AWS. The company uses AWS to store and process the 2.5 PB of data its users upload, driving business insights and enabling swift, reliable service to customers. YPlan is a mobile-only app that allows people to browse a curated list of the best events in their city and book tickets in just two taps. By using AWS right from the start, YPlan quickly grew its user base to 500,000 and experiences availability close to 100%. Diffbot provides APIs to understand and extract a variety of data from web pages. The company runs on AWS to scale in as little as 5 minutes for high-performance computing tasks and process hundreds of millions of web pages per month. Vserv.mobi provides a mobile advertising platform that allows app developers and site owners to create original content for consumers on mobile. Using AWS, the company can scale to serve about 31 billion ad requests on a daily basis while using Amazon EC2 Spot Instances to reduce costs by almost 70 percent. Enlighten Designs uses AWS to stream live sporting events (e.g., Winter Olympics Vancouver 2010) by deploying instances on Amazon EC2 to power the underlying infrastructure for streaming live footage of these events. TicketLeap, an online ticketing platform used by thousands of event organizers across the US and Canada, runs entirely on AWS. TicketLeap uses Amazon EC2, Amazon RDS, Amazon CloudFront, Amazon S3, Elastic Load Balancing, Auto Scaling, and cloud monitoring services as the foundation for its platform. Sonico.com, a social networking site with more than 48 million registered users, moved its more than 1 billion images to Amazon S3 and performs all of its image upload, processing, and storage using Amazon EC2 and Amazon S3. The company also leverages Amazon SQS and MySQL instances running on Amazon EC2. AWS Case Study: Dolphin Browser by MoboTap Inc. The Dolphin Browser by MoboTap, Inc. has been downloaded over 13 million times onto Android, iPhone and iPad mobile devices. The majority of the browser’s services and backend operations are powered by more than eighty instances running Amazon EC2, Amazon S3, Amazon EBS, Amazon EMR, Amazon RDS, and Amazon CloudFront. LabSlice uses Amazon EC2 to help businesses create demos, product evaluations, and training environments. As a service management platform for Amazon EC2, LabSlice enables its customers to increase computing efficiency while significantly decreasing infrastructure costs. After switching to Amazon Web Services, Hong Kong-based 9GAG, Inc. reports improved availability for its entertainment website, a 20% improvement in server response time, and a nearly 20% improvement in overall network activity. Hotel review site Oyster.com was already using AWS to store more than one million photos when the company decided to use AWS to upgrade its in-house image processing system. This move helped the company save nearly $20,000 in capital and operating expenses while reducing its image processing workload by 95%. Parse provides cloud-based back-end services for mobile application developers. By using AWS, Parse was able to take advantage of Amazon EBS Provisioned IOPS volumes for I/O intensive workloads and reduce end-to-end latency considerably. New York-based Animoto launched its web application in 2007, allowing people to create and share videos via the web or mobile device. Using AWS, Animoto scales seamlessly to handle spikes in demand. Outsmart 2005, a New Zealand entertainment and online media company, turned to AWS to run its SmallWorlds game environment. As a result, performance improved by 20% and Outsmart grew the number of active players it could support from 400,000 to 1,000,000. 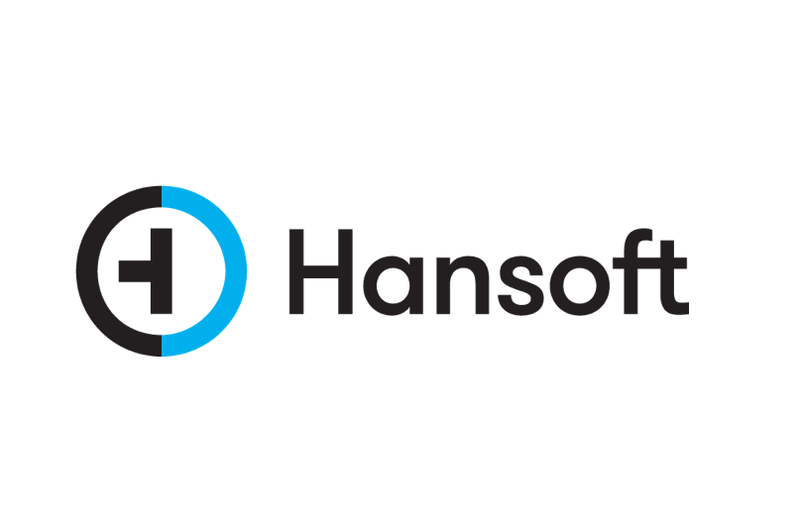 Seattle-based HasOffers uses AWS to operate a service for managing advertising performance. The company processes and analyzes massive data sets of advertising events each month using AWS. mobli is a social photo-and video-sharing app used by millions of consumers worldwide. With AWS, the company was able to reduce infrastructure costs by 45 percent and decrease IT maintenance time. California-based Loggly provides logging as a service to help customers identify and resolve issues in real time. The company designed its service on AWS in order to provide customers with a pay-as-you-go model. LatentView Analytics provides analytics solutions to financial services, consumer goods, and retail companies, and needed a way to deploy its services globally. The company moved to AWS and saved 60% compared to a traditional data center, enabling rapid scalability worldwide. AlphaSense collects and indexes millions of documents from around the world to provide insights into public company disclosures for investors, including large American investing firms. The company built its software platform on AWS. By using Amazon EC2 Spot Instances, AlphaSense has reduced its cost for each re-indexing of its massive data set from $5,000 to $80.